Don’t be fooled by advertised cheap prices for skip bins – you will pay more! Call now and we will explain in simple terms why our hires are the best value in Adelaide. We can remove most types of household and industrial waste including house & shed junk, old furniture, garden greenery, electrical items, old white goods, renovation waste, dirt, bricks, concrete etc. Do you want skip bins delivered fast ? In most cases, we can deliver same day if you call us early. We can deliver skip bins and mini skips super quick to Adelaide’s southern, eastern and western suburbs. 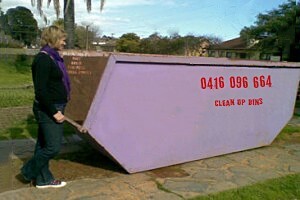 Whatever suburb you live in, we will give you our most competitive price for skip bins in Adelaide! Unsure of the bin size you need? 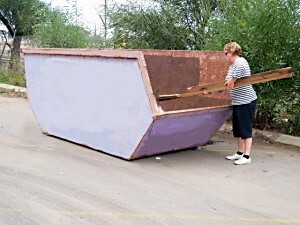 Give us a call and our experienced operator will guide you to the correct size skip for the removal of your rubbish. 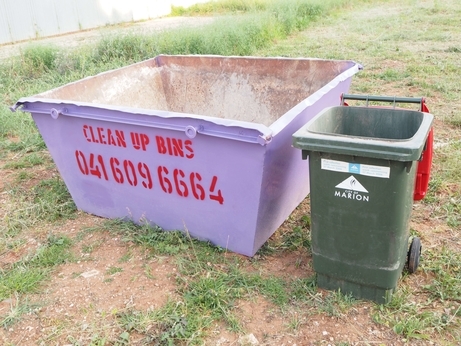 Give the guys at Clean Up Bins in Adelaide a call. Clean Up Bins have skip bins to take care of the whole clean up process for you. You fill them up, we take them away. Established in 1985, Clean Up Bins are one of the most experienced and most long standing Skip Bin hire company. 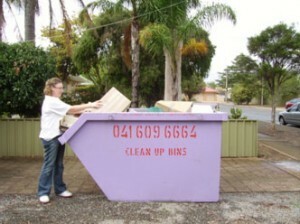 Clean Up Bins Adelaide is a locally owned and family owned business. We aren’t interstate owned and we aren’t anyones franchisee. Our reputation depends on every skip bin delivery being prompt and friendly AND at having the best skip bin prices. Our team of specialists know the industry and business landscape thoroughly and offer great service and competitive prices to Adelaide homes and businesses. You can hire a skip-bin or mini skip for one day or multiple days – just let us know when and where. prunings, timber offcuts, wooden structural parts, stumps, tree clippings, dead trees and bushes. We give fast and reliable service, on time and within budget. Our up-to-date equipment and understanding of environmental needs ensures we properly dispose off all your waste.